Update: Target Reached; Overfunding In Progress! We are very happy to have exceeded our £350,000 target. Overfunding of up to £500,000 is available but be aware that (1) momentum is strong and we could hit even that limit before the December 6th deadline; (2) the minimum investment has increased to £5,000. So if you have an interest to invest, read on quickly! Tens of thousands of Spark Profit‘s players told us: they love our virtual-trading interface, but have also gained enough confidence that they want to use the app to actually trade. Well, we already had the team, tech, and traction, and we have just designed a ground-breaking new product to meet their demand. We have reinvented trading, and it’s awesome! 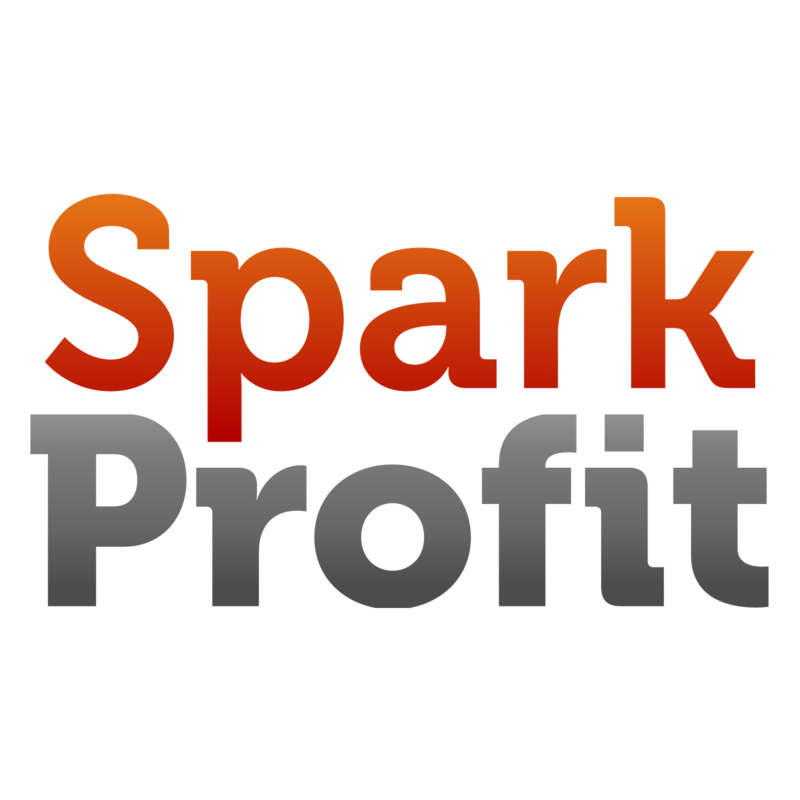 We released Spark Profit in 2014 as a fun way to engage and educate potential traders from all walks of life, fostering both a love of investing and an understanding of the challenges. The app is very popular and has found a hugely under-served market of smartphone natives, who want to participate in financial markets but do not have the resources, or cannot get past the jargon, that existing platforms require. We are now raising funds to introduce real-money, real-market trading to Spark Profit. Our completely new take on trading was designed for our existing customers’ lives and personal situations. What we are building is tremendously safe, simple — and yet still highly rewarding. People from around the world will be able to invest as little as $0.10, never be at risk of losing more than that micro-investment, and still see returns of up to 2000%. Only Spark Profit offers this level of safety and consumer-friendliness. We have the traction, the team and the technology required to make this happen. Spark Profit has already proven most of what we need. The single missing piece of the puzzle is a licence allowing us to go live with the kind of guarantees our customers should expect. The investment is expected to get us that licence and get the firm to monthly break-even. So if you’re interested, are eligible and have £5,000 pounds to invest into global empowerment, head over to our campaign on Syndicate Room! Note: You’ll need to create an account in order to view the all the details before investing. If you hit a problem entering a valid address when creating an account look for the “manual entry” option that should appear. As with all investments into early stage companies, your capital is at risk. $1000, each and every week! A few weeks ago back at Spark Profit HQ we were so excited about the World Cup we decided to double supporter bonuses for the duration! This means that when anyone you’ve invited earns money, you’ll now get 20% of what they earn too, as a thank-you bonus. Spark Profit pays that bonus, not your friend, so everyone’s a winner! (Except us maybe 🙂 ). That started a few weeks ago. How’s it going? Well, we’re already paying out more than ever before! The very first week we awarded over $1,000 for the first time. Every week has set new records and this week will have an estimated $1,100 total prize award. Thousands of new reasons to love Spark Profit! If you want to know how to earn a regular income using your personal supporter link, just take a look at the FAQ or send a mail to [email protected]. Finovate just posted a video of our demonstration from the conference a couple of weeks ago. The 7 minute video explains a bit about our business model and why we think Spark Profit and Spark Feed are so revolutionary. We hope you agree! This article includes a short video interview and notes that the app includes Bitcoin predictions in addition to standard currencies. It also talks about our business model. Spark Profit is a free web-app that pays you for making skilled predictions, plus it’s so simple and quick to use that it’s like playing a game. Sound too good to be true? Well, just like Google has figured out how to earn money from your searches, we have our own neat way of making a profit. People really have earned hundreds of dollars playing Spark Profit for just a few minutes a week, and it really is free. Here’s how it works. Now suppose we take all those skilled players and simply built a machine to trade (just copy) all their predictions — using our own money. This should make a nice revenue for us even though no-one has paid us a single penny. After we take off the expense of building and running the app we should still have enough profit left over to share it between the players and ourselves. Problem solved! In reality it’s not quite that simple – we don’t necessarily copy any individual player directly and we have ways to glean information from even the worst players. We call what we do “crowd-sourced alpha“. But the essence of it is fairly close to finding the good players and copying them. As a business model, it seems so obvious once you understand it but, as far as we know, no-one’s thought to do it before (or possibly, had the right combination of skills). There has to be a catch! One of the things we’re most proud of about our unique system is that you – the player – never risk anything. You don’t pay to join and don’t pay to play. You literally have nothing to lose. Really that’s because we take all the risk. And that single fact is the one and only catch to our amazing business model: we actually need to be very good at what we do, to be successful doing it. But even if we were to ever get it wrong and lose our money, you’d never have lost a penny because you’ll never have paid a penny. Isn’t this better for you than other trading sites where you pay and you take on all the risk? We think so. Spark Profit. We want you to win!